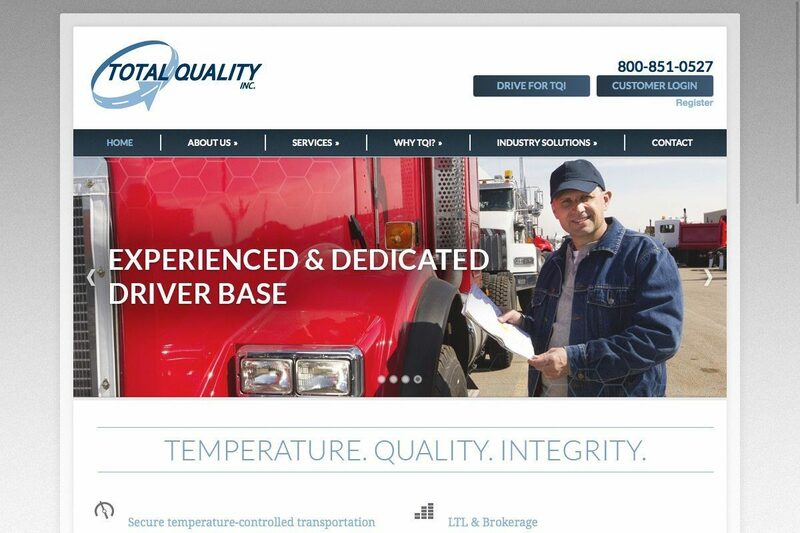 Total Quality, Inc. (TQI) is a leading, full-service cold chain logistics (CCL) company dedicated to the Life Sciences sector (pharmaceutical and biotechnology products). TQI has 18 years experience providing qualified truckload, less-than-truckload and CCL services to pharmaceutical, biopharmaceutical and generic drug manufacturers throughout the United States, Canada and Mexico. TQI’s experience, history of quality service, and focus on customer satisfaction have earned us the opportunity to serve the largest Life Sciences companies in the world, and we look forward to using this expertise to provide your company with a logistics solution that meets your high standards for safety, security, temperature control and reliability.